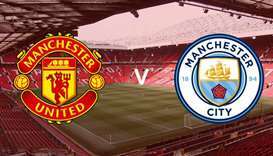 Manchester City can become English champions for the fifth time if they beat Manchester United on Saturday -- and Pep Guardiola's claim he was offered Paul Pogba has added to the occasion. 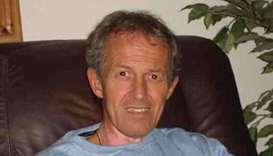 Former British football trainer Barry Bennell was sentenced to 30 years in prison on Monday for abusing 12 boys he coached between 1979 and 1991, with the judge branding him "sheer evil". 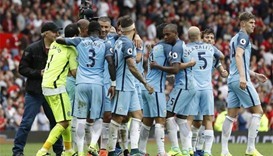 Pep Guardiola enjoyed victory over his old nemesis Jose Mourinho as his Manchester City side won 2-1 at Manchester United in Saturday's eagerly anticipated derby at Old Trafford. 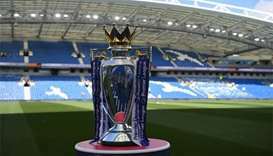 Chelsea punished Manuel Pellegrini’s controversial decision to field a remarkably inexperienced team as Eden Hazard inspired a 5-1 demolition of Manchester City in the FA Cup fifth round yesterday. 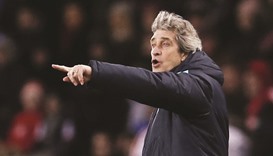 Manuel Pellegrini says he will field a weakened Manchester City for the club's fifth round FA Cup tie at Chelsea if the Football Association choose to stage it on February 21, three days before the club’s Champions League last-16 trip to Dynamo Kyiv. 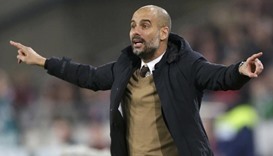 Pep Guardiola says he won’t be talking about Manchester City while still coach of Bayern Munich and insists he can easily combine his duties at the German champions with Premier League planning. 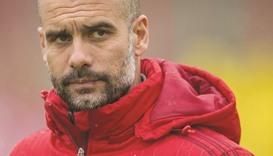 Spaniard Pep Guardiola has signed a three-year contract to take over as Manchester City manager in July, the Premier League club said.